With the National Craft and Hobby Association show in less than a week, I'm keeping really busy finishing up samples for my booth and getting ready for the show. But, I wanted to take a little time to let you in on a pre-show preview of some of the new products that I'll launch at the show...and this is a 3 in 1 preview! First up, is a new assortment of craft papers called Studio. Inspired by objects around my workroom, the Studio collection is a "must have" if you like antiques and old rusty things. I'm an avid collector of old things, I love having them in my workspace. Inspired by old clocks, rusty skeleton keys, and vintage patterns, Studio is perfect for collage, mixed media art, scrapbook layouts or handmade cards...if you like old rusty things, this new collection will inspire you. 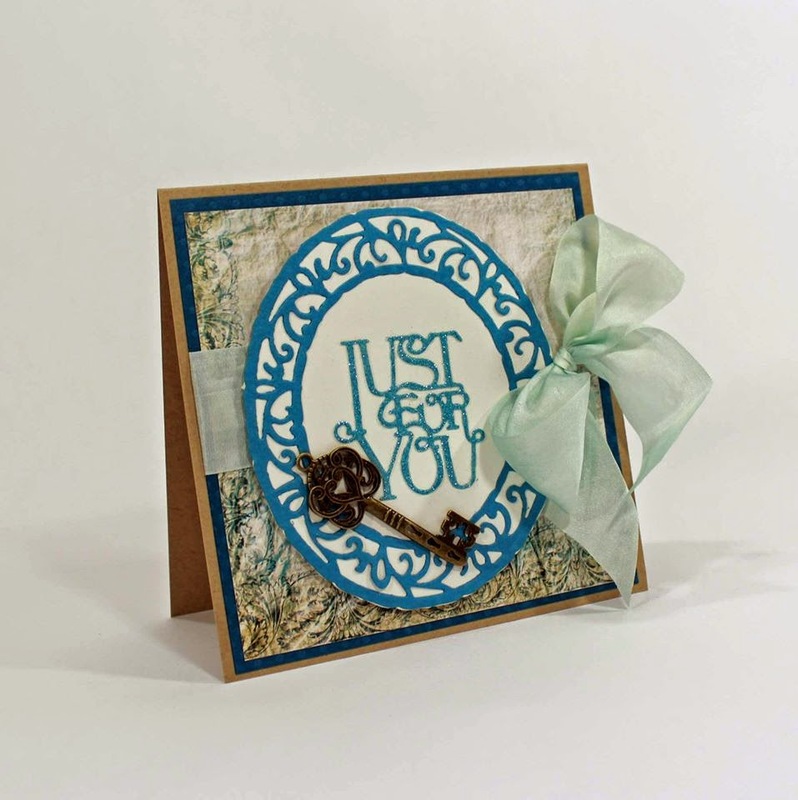 Today, style contributor Debbie Seyer created a beautiful handmade card with the Studio collection. She combines traditional card making elements like die cut paper and satin ribbon along with paper from the Studio collection to create a handmade card with a decidedly vintage feel. With the Studio papers, a lot of the work has been done for you...the assortment features patterns of crumpled paper, old linen, and soft neutral color palettes, you'll be able to create amazingly beautiful "mixed media" looking backgrounds and layers in an instant. Another thing you'll love about the Studio collection...it will be your "go to" paper for masculine cards or projects. It's a versatile paper collection that will let you create in new ways. 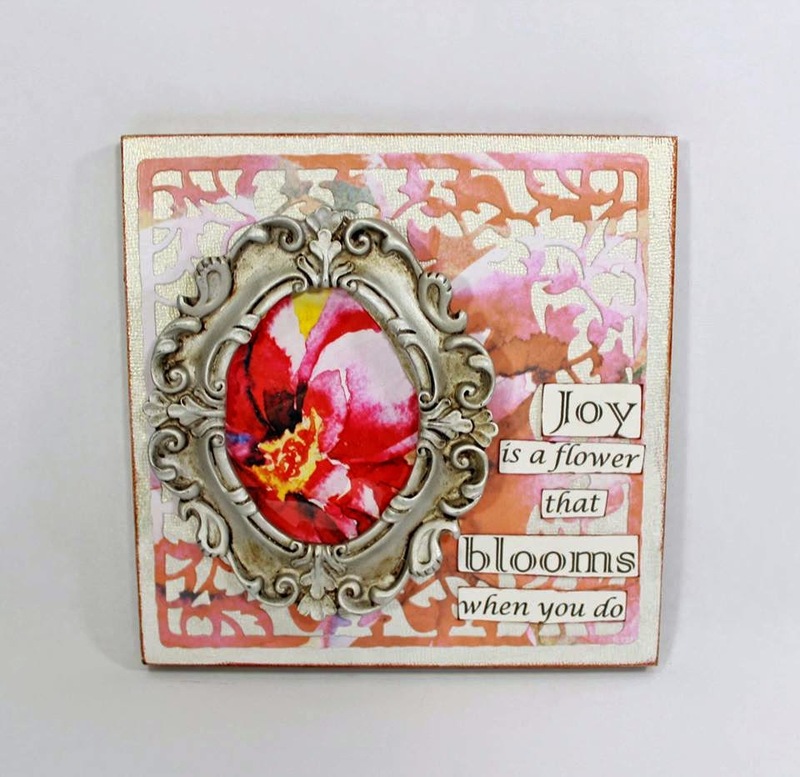 Second up today is a gorgeous home decor project that Debbie created with the Watercolor collection. 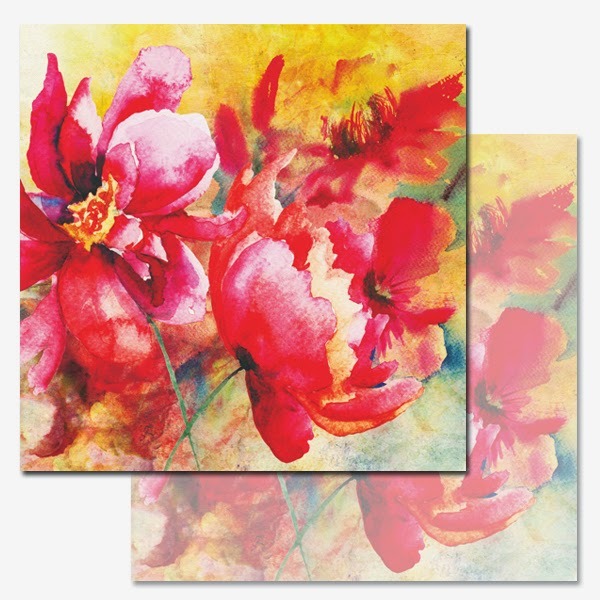 I shared a preview of the Watercolor collection in yesterday's post. is really unique in that she uses a found object and diecut Watercolor paper to create a stunning home decor piece. Typically, die cuts are made of solid cardstock. By die cutting the Watercolor pattern, she creates a background layer with subtle variations in color. It's a really nice technique. And make sure to watch the video all the way through...she gives a great tutorial on using Stick It, and she shows how to use another new ink pad that I'll launch at CHA too! Wait til you see this new ink pad. It's really cool! Thank you for stopping by today. I am really excited to share some of these new products and I can't wait until the show next week. It's going to be fun! Some really cool items Ken! Congrats on the new lines Ken. Loving that Ink Pad. Will have to get me some of that for sure! See you at the show!! Thank you Seth. The ink pads are pretty cool. Since they're on a pivoting head, kind of like a razor, you can get really controlled application on edges. Plus it's self contained, compact and easy to store. See you at the show later this week! Good stuff!!! LOVE the ink pad! How many colors will it come in? I am a HUGE fan of your Stick It adhesives!! They work perfectly with all of my dies and I use it ALL the time! A friend tagged you on FB with a picture of my die cutting station in my craft room because I have your Stick It hanging on my wall. I have 5 packages of each size so that I don't run out! When I get down to 3 packages I reorder!! Keep the good stuff coming please!!! Hi Barbara, thank you! The first release of the Click It Ink Pads will have 6 colors...they're all really vibrant and you won't believe how smooth the application is. (it's in the secret of the pad). And glad to hear you're using Stick It too. It's good stuff! Wow! Love your papers, but like everyone else, really love the ink pads ... especially that they are smaller in size. Wonderful work Ken! Love the new papers, Ken. I love those Click It Ink Pads. They would be so easy to pack for a crop. Love those papers can't wait to see more, those ink pads are cool, good luck at CHA!! It's New Year's Day, and I have Resolutions!